The late Mel Torme´said, « Since the advent of Benny Goodman,there have been too few clarinetists to fill the void that Goodman left. Ken Peplowski is most certainly one of those few. The man is magic. « The New York Times pronounced a concert of Ken’s « Goodman Straight Up, With A Twist Of Lightning. « These quotes only hint at Ken Peplowski’s virtuosity – not only ishe an outstanding clarinetist and saxophone player, but he’s also a charismatic entertainer who has been delighting audiences for over 30 years with his warmth, wit, and musicianship. »When you grow up in Cleveland, Ohio, playing in a Polish polka band, you learn to think fast on your feet », says Peplowski, who played his first pro engagement when he was still in elementary school. « From my first time performing in public, I knew I wanted to play music for a living. »Ken, and his trumpet-playing brother Ted, made many local radio and TV appearances and played for Polish dances and weddings virtually every weekend all through high-school. « That’s where I learned to improvise, ‘fake’ songs, learn about chord changes, etc.- it’s exactly like learning toswim by being thrown into the water! »By the time Ken was in his early teens, he was experimenting with jazz by playing in the school « stage » bands, and also by jamming with many of the local jazz musicians. « By the time I hit high school, I was teaching at the local music store, playing in our family band, and playing jazz gigs around town while still getting up early every day for school. »After a year of college, Ken joined the Tommy Dorsey Orchestra under the direction of Buddy Morrow. « Buddy heard me with my quartet at a Cleveland jazz festival along with Teddy Wilson’strio and the Dorsey band, and made an offer right then and there for me to not only play lead alto, but to have a feature spot on the clarinet with the rhythm section. It was a great ‘road-school’ – we learned the discipline that goes with playing one-nighters every day for 48 weeks out of the year,and Buddy was a great,very generous bandleader. »Peplowski met Sonny Stitt while on the road with the Dorsey band, and studied with him. « He was, and is, an inspiration to all of of us who make a living ‘on the road’ – I’ve never heard anybody play with such amazing consistency as Sonny, through all kinds of settings. »In 1980, Ken moved to New York City,and was soon playing in all kinds of settings, from Dixieland to avant-garde jazz. « Everything’s a learning experience in jazz music – there’s always an element of the unpredictable. » In 1984, Benny Goodman came out of retirement and put together a new band, hiring Ken on tenor saxophone. « I think Benny was as great a figure to the clarinet as Louis Armstrong was to the trumpet. He was an extremely tough band leader, but he was as demanding on himself as he was on us – if you showed him respect and were there to play his music for him, he respected you back, and I have yet to work with anyone else that could get such great results out of a band. Part of the key to unlocking the enigma of Benny was that he thought about music pretty much 24 hours a day, and sometimes that was to the exclusion of personal relationships. I liked him a lot, though, and he actually tried to get me signed to a record deal (with him as producer!) before I’d signed with anyone else. »Peplowski wound up signing with Concord Records,under the tutelage of Carl Jefferson, the founder and president, and recorded close to 20 albums as a leader, including « The Natural Touch » in 1992 which won Best Jazz Record of the Year by the Prises Deutschen Schallplatten Kritiken, and « The Other Portrait », recorded in Sophia Bulgaria with the symphony orchestra and highlighting Ken’s classical side. His last two records were « Lost In The Stars » and « Easy To Remember » (on Nagel Heyer Records), the latter of which features Bobby Short on his last recording. « I loved Bobby Short’s approach to the American songbook, and we’d talked about doing a record together for a while – I’m glad we got this one ‘in the can.' »What’s in the future? « Who knows? I love all kinds of music,and I’d like to find more oppurtunities to bridge the gaps between different musical styles – I consider myself an interpreter of material – if something interests me, I try to put my own spin on it, without thinking or worrying about playing in any particular style. Basically, I like a challenge, I’m a sucker for a good melody, and I love playing for audiences,big or small. »And he has certainly achieved these goals, be it in small clubs, the Hollywood Bowl (where he played a sold-out concert), headlining in Las Vegas, the Newport Jazz Festival, pops concerts, European festivals´ clubs, or at home in NYC doing everything from playing on the soundtracks to Woody Allen movies, to taking on the role of music director for interactive French and Italian cookbooks (« Menus And Music »).The litany of musicians Ken has collaborated with includes: Mel Torme, Leon Redbone, Charlie Byrd, Peggy Lee, George Shearing, Madonna,Hank Jones,Dave Frishberg,Rosemary Clooney,Tom Harrell, James Moody,Cedar Walton,Houston Person,Steve Allen Woody Allen, & Erich Kunzel. (« Although not necessarily in that order, » says Ken).Peplowski also does many workshops for students of all ages-« My goal is to get the students to learn how to teach themselves, and to learn how to bring out their own best qualities; after all, jazzis about individuality-first you learn the rules, then you break them. I would like to think that I never stop learning, myself! »To quote the Jazz Journal International, « Ken Peplowski is one of those fine young Americans who are currently setting so much of the pace in all that’s good in jazz. 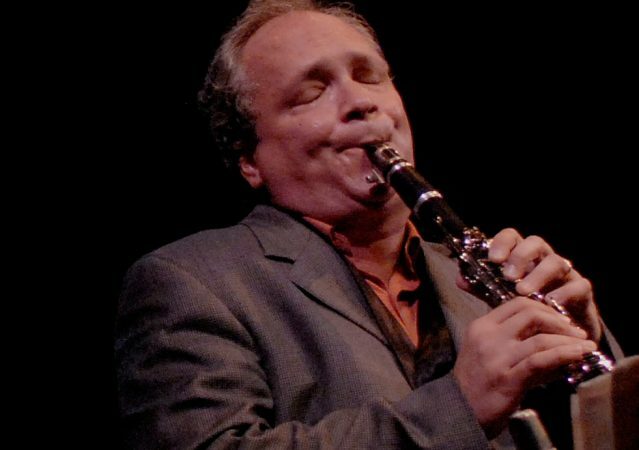 »Ken’s next CD will be a ballad record on tenor sax and clarinet for Venus Records, and is coming out soon.Ken Peplowski is a Buffet Crampon USA Performing Artist.